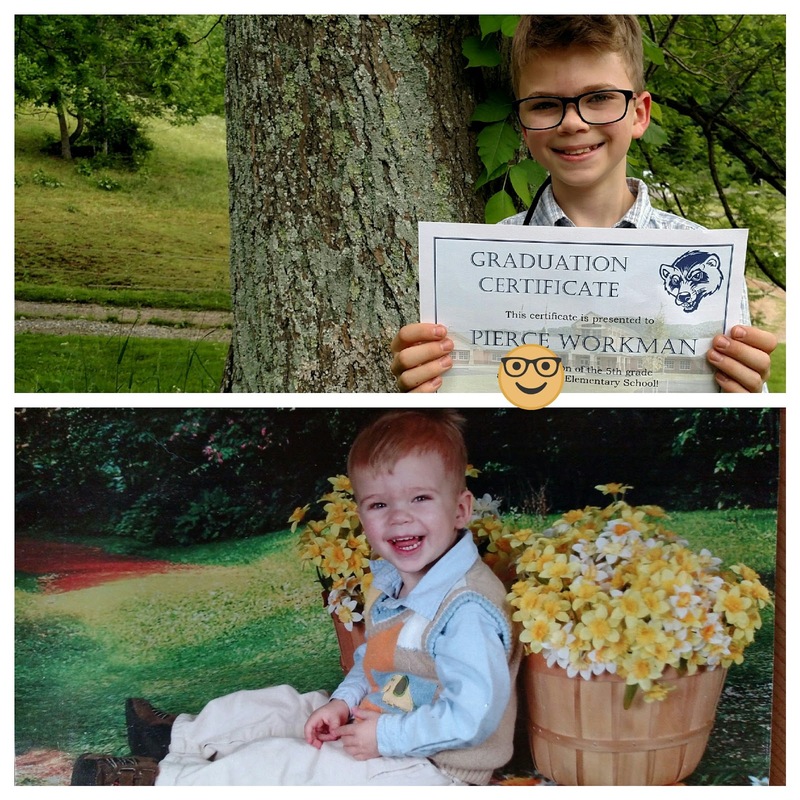 Yesterday was Pierce's 5th grade graduation. It's hard to believe we have a middle schooler now. For Pierce, the highlight of the day was getting to go up in the ceiling crawl space of the school. He's been asking the P.E. teacher, Mr. Banks, to go up there since he was in Pre-K. Mr. Banks always told him he would show him what was up there on the last day of 5th grade. Pierce got to take a few of his friends up the ladder to walk to cat walk. It sounded like a herd of elephants in the ceiling. He was so thrilled to get up there. We are excited to see what adventures middle school holds next year. Most people don't seem to have the best memories of the awkward middle school years. But Pierce has always been such a happy, curious kid, who adores learning and school, so we are hoping he will thrive there.